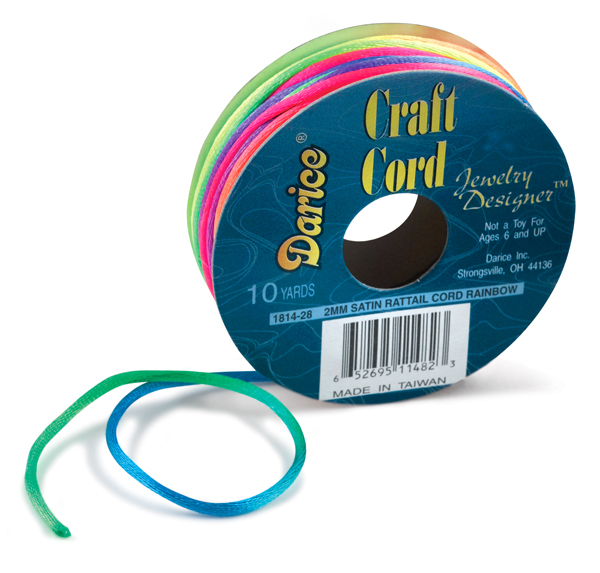 Bring a touch of shine to your jewelry and craft projects with Darice Satin Jewelry Cord. This 2 mm rattail cord is ideal for stringing larger beads. It comes in a range of colors — from elegant Black or White to bright, primary Red or Green to vibrant, multicolored Rainbow.